In case if you are here searching for an emergency dental appointment, call us or reach our office located in Hastings Plaza, 39055 Hastings Street Suite 203, Fremont, CA 94538 as quickly as you can. Please note that our office remains closed on Sunday and Thursday. Keep reading, if you are here to know more information about dental emergencies and best ways of handling them. Well, most people neglect dental injuries. That is because a dental injury is not fatal in most cases. Meeting a dentist immediately after an injury like fractured or knocked-out tooth saves the tooth. 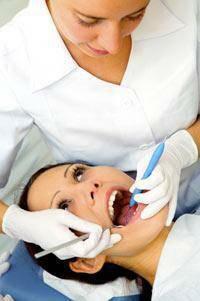 The following are some quick tips one can follow to handle a dental injury better. Bleeding: It is one of the major symptoms of a dental injury. It causes serious discomfort. With the help of a tea bag or moist cotton gauge, apply some pressure on the affected area. It stops bleeding. Dental Abscess: A dental abscess is a major sign of root infection. It is a dangerous dental condition, as the bacteria can affect the adjacent teeth and the other parts of the body as well. To reduce the pain caused by dental abscess, rinse your mouth with warm salt water for up to 8 times in a day. Do not neglect the condition. Make an appointment with a dentist as soon as you can. Tooth Extrusion: Use a cold compress on the affected side of the cheeks to soothe pain. You may use OTC painkillers for temporary relief until you meet a dentist. Knocked-Out Tooth: The step one to handle the condition is not to panic. Collect and save the broken piece of tooth in a cup of milk. Do not peel off any fleshy pulp that is attached to it. Meet the nearest dentist as soon as you can. Broken Tooth: Clean and save the broken piece of the tooth. If the dental injury causes bleeding, use a tea bag or moist cotton gauze to stop it. Meet the nearest dentist as fast as you can. Toothache: Toothache is also a major sign of many dental conditions. Improving your oral health habits like brushing twice a day, flossing for at least once in a day may reduce the toothache. Gargling warm salt water a few times a day helps reduce the pain. OTC painkillers will also work. You should never ever neglect toothache, though. Lost Filling: You need to meet your dentist as soon as you can. In the meanwhile time, you may use a sugarless gum to fill in the gap created by the tooth filling loss. Do not use a sugared gum, as it may cause a bacterial infection. Lost Crown: This condition can cause serious discomfort. Rubbing olive oil on the affected tooth helps reduce the pain. Save the lost crown, and make an appointment with your dentist as quickly as you can. Broken Braces Wires: Use something like a pencil rubber to press the wires against your teeth so that they do not poke your lips or mouth. Do not try to cut those wires on your own, as there is a danger of you swallowing or inhaling them into your lungs.